So, I've been doing these Tuesday Ten posts for a few months now. I really enjoy them because, along with Finish the Sentence Friday and my new Sunday Suppers, it gives me some consistency with my blog posting. The only problem with them is that I have to come up with a new idea for a list every week. Sometimes, I have a light bulb idea or a jumping off point (like birthdays, or holidays, or events). Other times, like this week, I am completely stumped. What do I do when I am stumped?? I scour the web for ideas. 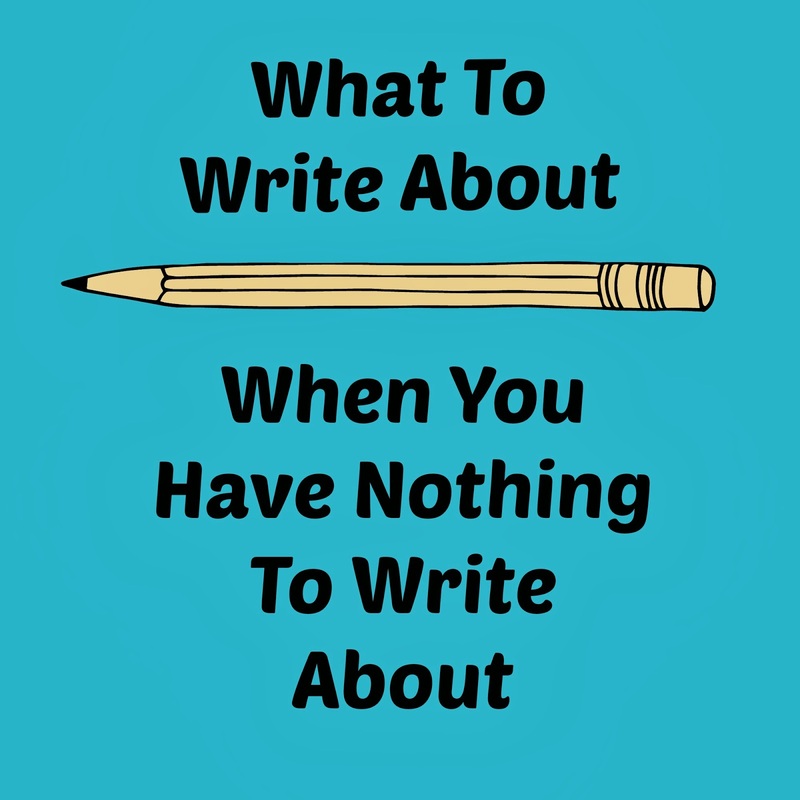 My search turned up several lists of ideas to help when you are at a loss for something to write about and, in stroke of genius desperation, I decided to make a list of ideas that might help if ever you find yourself in a writing slump! :-) Amazing, huh??? Make a List - This really was a common suggestion and perhaps if you don't regularly make a blog post our of lists, this one would be something you could try. Do a Giveaway - This is something I have never done on my blog, but lots of bloggers do. It is a great way to entice readers to come check out your site. Pinterest - Pinterest is a great source for inspiration. You can make lists of funny things, recipes, DIY ideas, seasonal ideas - really anything you want! Better yet, try something and the write a post about it. Do a How-to Post - What the old saying?? Jack of many trades, master of none. That's me, so I don't do a lot of these either. (Although I did do this one about How to See what Pages like you on Facebook.) However, if you have expertise to share, it can make for a great blog post! Take a Stance - At any given time, tree are a multitude of hot button topics out there. Anything from breastfeeding to spanking to politics to religion to Miley Cyrus. If you feel passionately about one of them, write about it. This one can be tricky, though. If you are brave enough to put your opinion out there, be prepared. Whatever you opinion, there is surely someone on the opposite end of the issue that will let you know all the reason why you are completely wrong! Make Some Music - I always find music inspiring. If you do too then write about it. What song sums up your life? What is the song that reminds you of someone special? Do you and your spouse have a special song? What songs are your kids singing that drive you absolutely crazy? Go to extremes- How about listing the best of something? Recap your best posts; the best blogs in you niche; the best recipes you have tried; the best things about the season. Or, go in the opposite direction - the worst post you ever wrote; the worst thing you ever ate; the worst hairstyle you ever had. Branch out to other extremes, too. Write about the craziest thing you ever did or the scariest thing you ever did. How about the weirdest thing you've ever seen? You get the gist. Bucket Lists - I did this one for summer, but you could do one for any season. You could also do one regarding the places you would like to travel, people you would like to meet, things you would like to learn/try, or goals for your blog. Check your phone - Most everyone I know is at least somewhat addicted to their cell phone so why not use it for some inspiration? What are your favorite apps? Your top songs on your iPod? The funniest tweets or Facebook statuses you've seen? 11. Q & A - Do fun question and answer session with your spouse, your kids, or a friend. You could even do one with another blogger! 12. Check your stats - Have you ever looked to see what post has gotten you the most page views?? How about what search terms have led people to your blog? Maybe you would be surprised to see that people from other countries read your blog? 13. 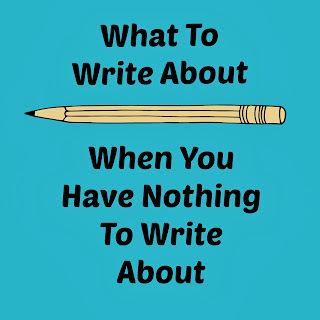 Join some writing prompts posts - Of course I like Finish the Sentence Friday, but there are many, many others that cover a wide variety of topics. If you see one that interests you, join in! 15. If all else fails, ask for help. Ask your readers what topics they would like to see on your blog. Give them the opportunity to ask you some questions and, then, answer them. What a timely post - I've been walking around this morning wondering what on earth I was going to write about on my blog today! Really helpful post, thanks for sharing! You have an awesome blog. Following right up! Great list...very helpful, especially when you are stuck!! Going to pin because I know it will come in handy at some point! This is really great, Lisa! I love the idea of a Q&A with my husband! Thanks! I always tend to bookmark these great ideas posts, and I really do use them! I love Q & A posts with other bloggers or with my family members! You're welcome! Thanks for pinning! :-) Glad I could help! That would be fun wouldn't it? I'm actually currently stuck so this was helpful! Great tips!! Thanks so much for sharing them on WDW with us! Much appreciated! Thanks for the good ideas! I especially love the finish the sentence Friday one! All of these are awesome! Pinning them to my Pinterest board. Thank you for sharing. Stopping by from Wine'd Down Wednesdays. No problem! Thanks for hosting and reading! That's a great one that I really enjoy and I have made some wonderful blog connections doing it. You should absolutely join us! Thanks for stopping by and for pinning! Glad it was helpful! I like your suggestion about reading for inspiration. If only I had more time to read through all my piles! :) found you via Wine'd Down Wednesday. I'm with Kimberly, Michelle & Janine - just pinned this great post for future reference! Thank you much! Great suggestions here! Thanks for visiting!! I wish I had more time for reading, too! What great tips! I WISH I hate the time to write, I have so many ideas in my brain. Want a couple? Lisa, I just hit a wall with my Ten on Tuesday lists too! I put it out to my facebook peeps and I think I may be good to go for November, but then I'll have the same issue again. Maybe we can look through each other's lists and find some inspiration!